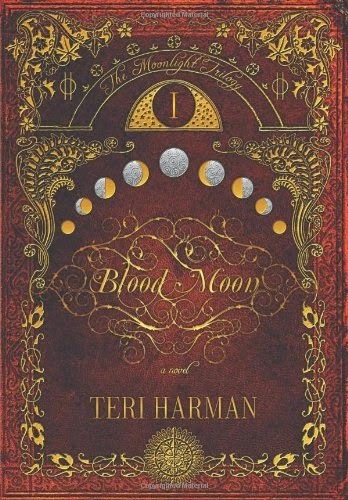 I received a copy of BLOOD MOON, Teri Harman’s Young Adult/New Adult paranormal romance novel, from its publisher shortly before the book debuted last summer...and I was utterly bewitched by it (pun intended—it’s a book about witches). 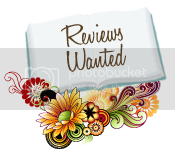 I enjoyed the novel so much, that I requested the pleasure of interviewing Teri on my personal website. This September marks the release of BLACK MOON, the sequel to BLOOD MOON. As part of Teri’s blog tour for BLACK MOON, she will join us on Bookshop Talk on August 21st as a guest blogger, at which time she will tell us all about writers and books that inspire her. 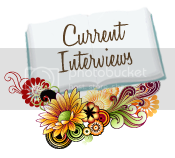 In the meantime, and to help you get to know Teri and her fabulous “Moonlight” series, here’s a re-post of the interview I conducted with Teri last summer. 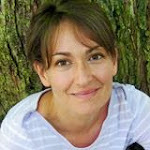 Kim Harris Thacker: BLOOD MOON is a wonderfully romantic novel, but it is unique among love stories in that it begins with the two lead characters falling into a stars-aligning-souls-a-blazing-hearts-a-pounding love. Why did you choose to begin your novel this way, instead of sticking with the more traditional (and, unfortunately, somewhat cliché) method of bringing two lovers together near the end of the book? Teri Harman: I purposely went against the cliché. I thought it would be interesting to avoid the normal he-loves-me-he-love-me-not relationship drama and start with a strong bond. I wanted Willa and Simon to be together from the start. Outside sources may threaten their bond, but they will always fight to protect their love. Also, I didn’t want the story to be about them coming together; it’s not really a romance, although it is often romantic. I wanted it to be about them discovering the magic as a couple, supporting one another. Every witch is born with a specific, dominant talent or ability. There are six in all. The four elemental gifts: Earth, Air, Water and Fire. And the two gifts connected to the Otherworld, or the world beyond our own: Mind and Dreams. If you could have any one of the Six Gifts Wynter lists in BLOOD MOON, what would it be and why? TH: I think I’d have to go with Willa’s Gift of Dreams. I’ve always had vivid dreams and in fact a few of the scenes in BLOOD MOON were inspired by the nighttime creations of my mind. It’d be so interesting to see real events in dreams and talk to the spirits of the dead. KHT: Speaking of Wynter, Simon, and Willa, how did you come up with the names for your characters? They’re wonderful! TH: Thanks! Names are critical; I take a lot of time to pick the right ones. I’ve always loved the name Simon, so he was easy. Willa was harder. At first, her name was actually something else – Lynette, I think – and it totally did not work for the character that formed in my head. So I started looking for something else. Willa struck me. It fits her and it has ties to the willow tree in the books. Wynter’s name had to be something unique. She’s an Earth witch so I wanted it to sound like someone with strong ties to nature. I came across this name and it was perfect. KHT: In BLOOD MOON, you jump from time period to time period, visiting characters that, by the end of the story, are all integral cogs in a complex, interconnected wheel. How do these time leaps serve your story? Did you like writing in one particular time period more than another? TH: I love stories that move between the past and the present, that have a symbiotic relationship between what’s happening now and what happened then. Also, witches have a rich and long history – I wanted to honor that in this story. It’s easier for me to write in the past. Maybe it’s because of my obsession with period dramas. It wasn’t always easy to switch between the two, but it was really interesting. KHT: Who is your favorite heroic character in BLOOD MOON and why? Who is your favorite villain and why? TH: It’s nearly impossible for me to pick between Willa and Simon – it’s their joint story – but I suppose I have a soft spot for Simon. His back story is so tragic and he’s struggled so much. He’s easy to root for. Archard is the main villain in BLOOD MOON, but my favorite is Bartholomew. He has a small role in this book, but a big one in BLACK MOON, book 2. KHT: On your website, you have links to your Pinterest boards for your books. How does having a collection of images inspire you? Or is it just for fun? TH: It helps me with visuals and descriptions, but I did it mainly for readers. I wanted readers to be able to check out the boards and experience more details, more visuals for the book. It’s also just fun. KHT: BLOOD MOON is the first book in “The Moonlight Trilogy.” What can you tell us about the other, forthcoming books? TH: Book 2 throws into question everything that happened in book 1. Evil abounds in expected and unexpected places. Simon struggles the most as his powers grow out of control. The ending is a killer! Book 3 is still up in the air. I need to make some serious decisions about what will happen. KHT: I’m from a small town just south of Jackson Hole, Wyoming, which is one of the settings of BLOOD MOON. Does this mean I might be part witch? Just kidding. What I meant to say is, in your book, you mention that magical abilities are generally inherited. Does this mean we’ll learn more about Willa’s and Simon’s parents in future books? TH: Hmm. That has yet to occur, but it’s a great idea!! Saffron is a painting. Brought to life, unknowingly, by the hand of the artist, she is color on canvas, but she is also so much more. From her prim white chair, surrounded by sunflowers, pretty Saffron watches the world move beyond the edges of her silver frame. At the beginning it is only her eyes that can move, but as her story progresses so do her abilities. A finger that twitches, tears that stream down her canvas, her heart suddenly bursting into rhythm. These miraculous, but confusing changes bring thoughts of life beyond her frame. Thoughts that over time become more of a torture than a pleasure. As mysterious as her ability to be alive, is the way her various owners talk about her, the way they look at her. Especially the way Mr. Emmett Charles looks at her. This handsome, complicated stranger, a cotton mill owner and an elite of late nineteenth century Boston society, looks at her with a layered sadness that only makes her wish for more things she cannot possibly have or become. Saffron tries to resolve herself to life as a painting. But what happens when a dream won’t die? She wants more, but can she dare to reach for a real life beyond her frame, a life with Emmett? Brimming with blissful romance, intriguing magic realism and curious mystery, A Painted Life, is a refreshingly unique novel about reaching beyond our frames and having the endurance to follow a dream. KHT: This sounds so romantic and intriguing! How was your writing experience for this book different from that of BLOOD MOON? TH: It was very different! A PAINTED LIFE is told in first person and chronologically. Plus, it’s such a different story. I loved writing this book soo much. Saffron’s journey is so close to my heart. I can’t wait to hear what readers think. KHT: You’ve been writing articles about books for a while, now. How is article writing different from novel writing? Is it the same in any way? TH: Article writing is brief, to the point. There are few flourishes; it’s all about facts and quick-access information. Novels are ALL about the details, about getting into the deep layers of things. It’s so much more interesting and so much more fun. However, writing articles and learning to be concise has helped me write better when I write novels. It’s helped me pull back when I tend to go overboard. KHT: On your website, you mention that you are a stay-at-home mom. How do you balance being a mom with being a professional writer? TH: Haha! Well, it’s pretty much chaos all the time. I am constantly interrupted while I work, it’s rarely quiet, but I gets things done. I’ve trained myself to still be productive while every day life is happening (most the time anyway). It also really helps to have a consistent schedule, so the kids know when it’s time for mommy to work and when we can play or read books. They are good kids too (most the time ). Plus I have a wonderful husband who helps a lot. KHT: Tell us a little bit about your recent book launch party at The King’s English. How did you feel, standing in front of everyone to talk about your very own book? TH: It was so emotional. I started crying the moment everyone started clapping for me to come up to speak. I’d dreamed of that moment so many times over the last 6 years. Standing there and seeing my book in people’s hands was like standing inside a dream. It was blissful and felt so exactly right. What an incredible night! KHT: What is one piece of advice that you can give to aspiring writers? TH: Three words: Persistence, hope and hard work. Those three things can get you anywhere. Thank you so much for joining us today, Teri! I wish you the very best in all you do, and I look forward to reading more of your work! You can learn more about Teri by clicking on these links: Teri on Facebook, Teri on Twitter, Teri’s Website. I had so much fun reading BLOOD MOON and interviewing Teri last year! I'm very excited for BLACK MOON's release and for Teri's guest post. Yay for BOOKS!!!!!!!! What an excellent interview!! Thanks for joining us on Bookshop Talk, Teri! !